The sleek, powerful and adaptive iMac range. An all in one computer that combines powerful Intel processors with stunning 4 & 5K screens, to create a computer that can handle all your needs. Check out our rent-to-buy iMacs for sale today and avoid paying the huge upfront costs with our lease to own program. Buy now and pay later with our selection of Apple computers. Lease to own your iMac with payments every 2 weeks over the course of 12 months or less. No long term contract, cancel lease or buyout early anytime Get up to 50% OFF with early buyout discount on our rent-to-buy iMacs. See more about How does it work? The iMacs never seem to get much attention in the tech world, but they have the ability to be key components of your office or creative space. Let us take you through some of our rent-to-buy iMac models to give you an idea of what would be best for you. If you’re money conscious and just want the cheapest model, that may work on other tech items, but for iMac’s this tactic will end up backfiring and leave you with a slow and frustrating computer. The cheapest model is the older 21.5-inch Dual-Core iMac which comes in at $86/Bi-weekly, cheaper than some phones! This iMac comes with a dual-core processor, which makes it pretty slow and does not come with the 4K or 5K screen. This computer will be able to do the basics, but if you’re looking to multi-task and keep this computer for years to come, then we would suggest going up slightly in price, you won’t regret it! Most desktop computers will have an average screen size of between 22-24 inches. At 21 inches, the smaller iMacs may seem a little on the, well, small side. That is why we would recommend the large 27-inch screens, for a more immersive feel. 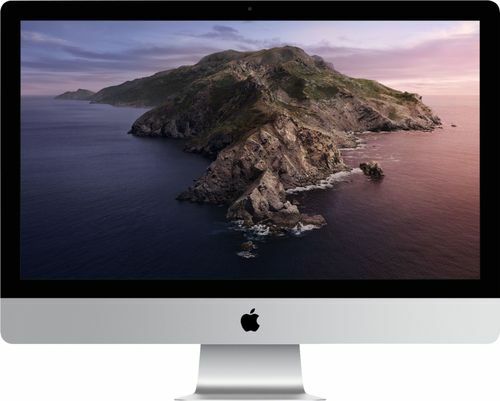 The larger screen iMac’s come at reasonable prices, starting at $136/Bi-weekly, and include a 6-core processor and a 5K screen, giving you incredible performance. Firstly, we do not provide the iMac Pro due to cost, as this pretty piece of kit will cost you $5000+. You would hope that for the price you’d get a computer that’s worth it, well, you do. This iMac is impressive, to say the least. It has a 27-inch 5K Screen, a massive 8 Core processor as standard, with the ability to increase to 18 cores! Vega 56/64/64x graphics configurability, up to 256GB memory and 4TB SSD. If you’re a photographer, game designer or anybody working with data-heavy programs, then this iMac is for you, and it will not disappoint.